Mario Cucinella has designed a gorgeous prototype for the first of twenty green schools that will soon pop up throughout the Gaza Strip at a price of $2 million a pop. 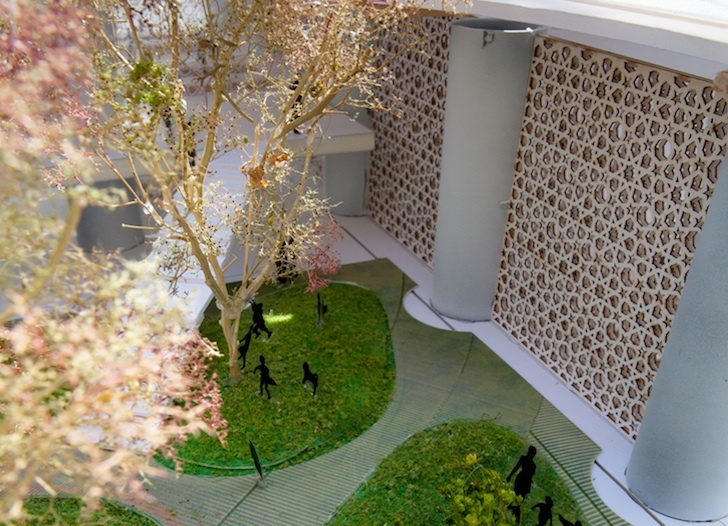 Combining contemporary sustainable design with ancient Islamic architecture, these schools will be 100% self-sustaining so that up to 16,000 children will have access to a bright green education. Pretty soon, parents in Gaza will no longer have to worry whether their children can go to school if water or electricity supplies are cut off because of financial or political issues. Instead, the United Nations Relief and Works Agency (UNRWA) commissioned Cucinella to design schools that will be solar-powered, heated and cooled by cutting edge geothermal systems, and harvest rainwater and recycle grey water. Passive Islamic design will ensure the smallest amount of solar gain during scorching summers. 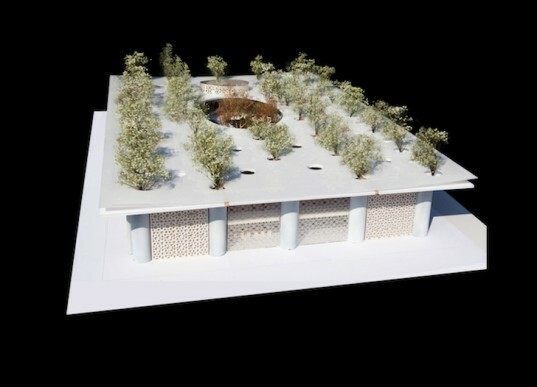 Each school will also be built using locally-sourced materials. This is great for keeping down the overall carbon footprint and supports the local economy, which is badly in need of repair. Although this is definitely a very ambitious program that is being financed by the Kuwait Fund and $2 million seems like a lot of money, UNRWA claims that other schools built in the region were no cheaper. Eventually, vulnerable communities throughout the West Bank, Jordan, Lebanon, and Syria will also get the green school treatment!